So many consumers out there don’t even bother to ask. Being that you are reading this, we can assume that you are a discerning consumer that cares deeply about the products you’re installing at your home or on your property. That’s very important to us. 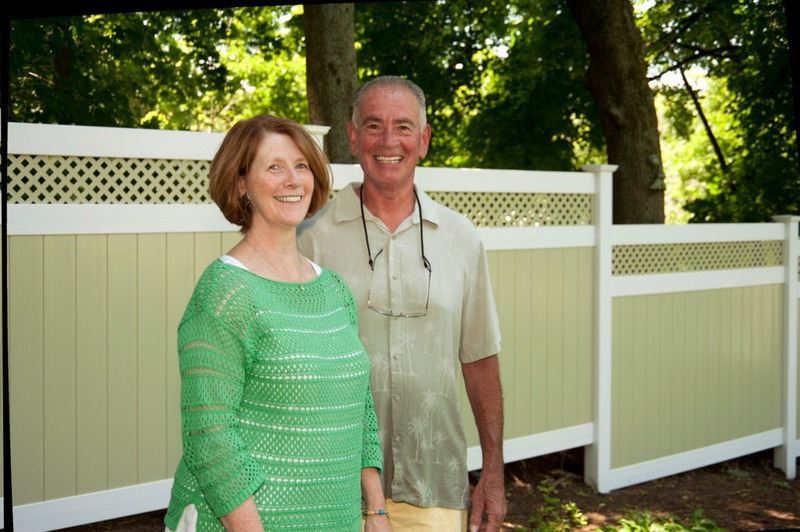 Because we at Illusions Vinyl Fence are a company that cares deeply about the products we create. 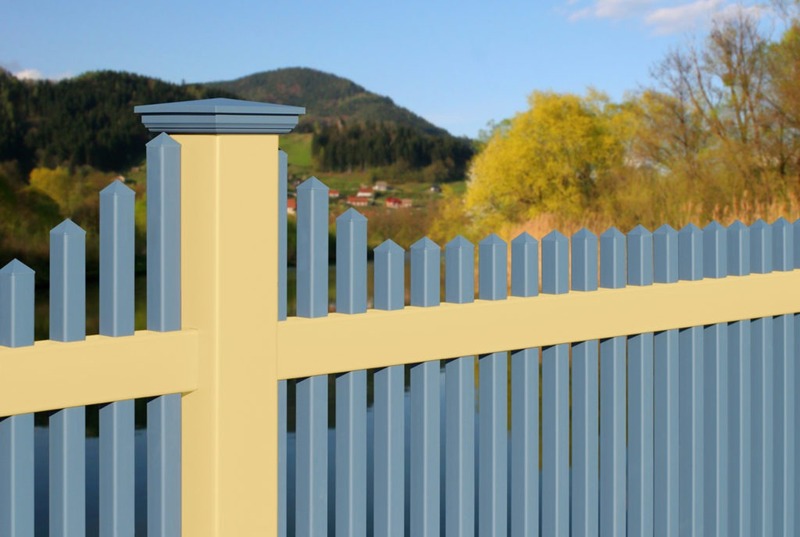 We work hard to create the best PVC vinyl fence in the industry. • Is it a 100% Pure Virgin Vinyl product? – Do not use if made from recycled materials as the Integrity of the product will be lost and a failure should be expected (buy a good fence once or replace a poor fence several times). Illusions Vinyl Fence products are 100% Pure Virgin Vinyl. • Is the vinyl made by a certified member of the VMA (Vinyl Manufacturers Association)? – The VMA provides certification that all materials meet or exceed ASTM Industry Standards (ASTM F964-13). 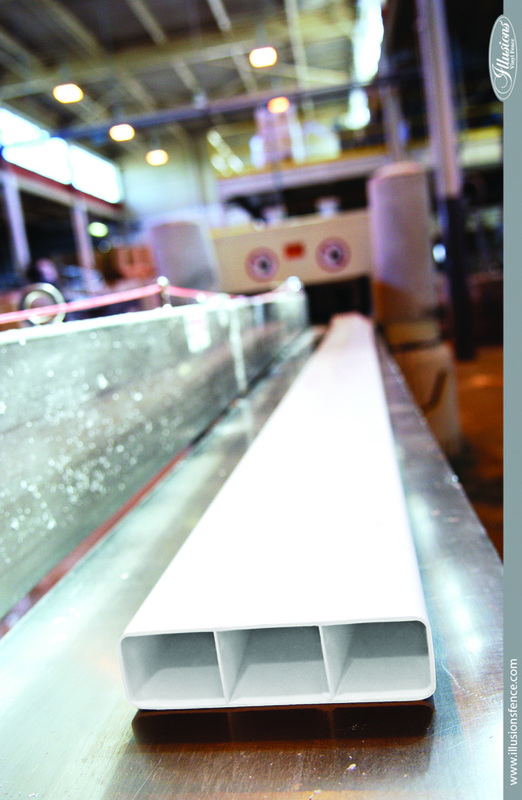 Illusions products are both VMA and ASTM F964-13 certified. Illusions Vinyl Fence is a proud member of the VMA (Vinyl Manufacturers Association). Find out more about the VMA here. • Will the products be available in a timely fashion? – We here at Illusions are known throughout the industry as having the fastest turnaround time on products. Fast turnaround equals happy customers! • Is the color you are looking for available? 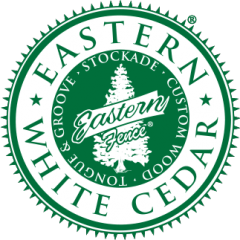 – Not all companies are created equal when it comes to PVC vinyl fence color choices. Nobody, but nobody has more color choices than Illusions. It’s not even close. 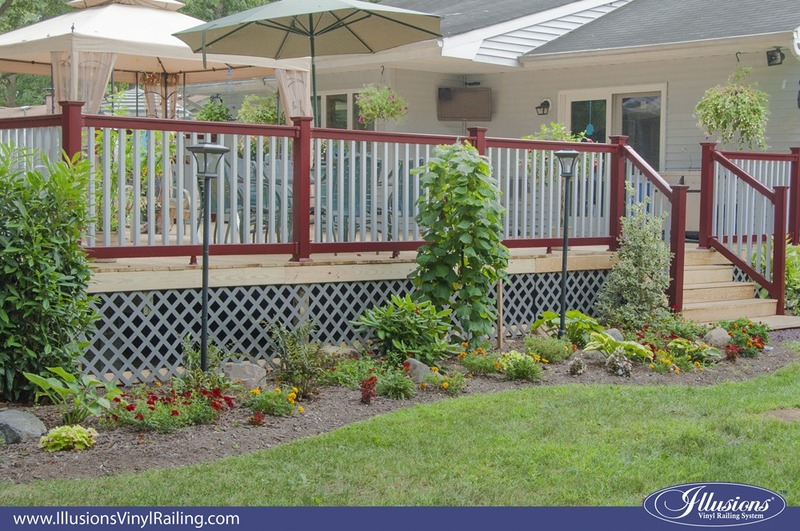 Illusions Vinyl Fence and Railings are available in 35 standard colors, 5 authentic Wood Grains, and have the ability to match any color you need. Want to see an amazing array of color choices? 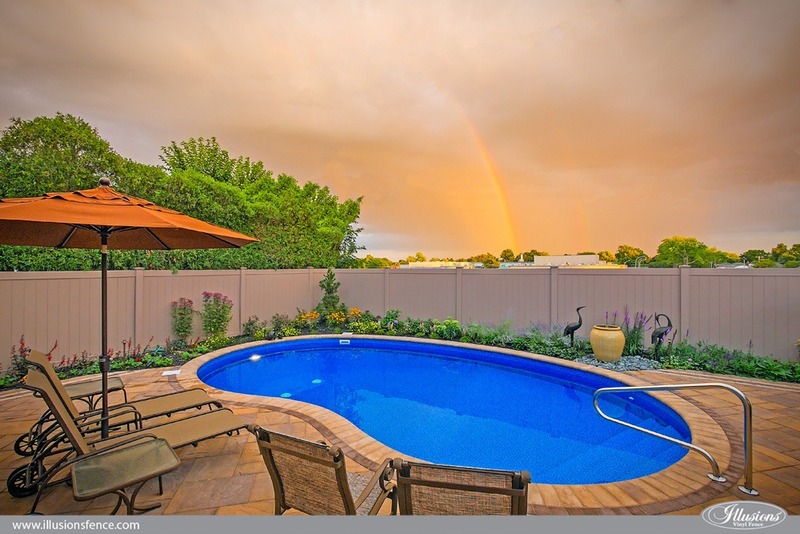 Check out our Illusions Vinyl Fence photo gallery. • Do the gates have Uni-Weld Corners and an internal truss system? Standard vinyl gates are known as “pocket” gates. They are traditionally heavy and do not compliment the fencing that they are sold with. 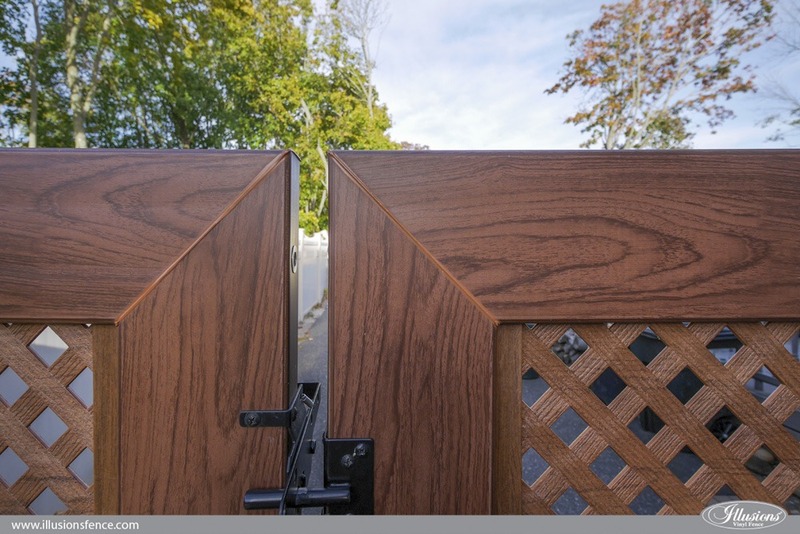 Illusions Vinyl Gates are always built with Uni-Weld technology. Complete with a NEW internal truss system for stability and longevity. 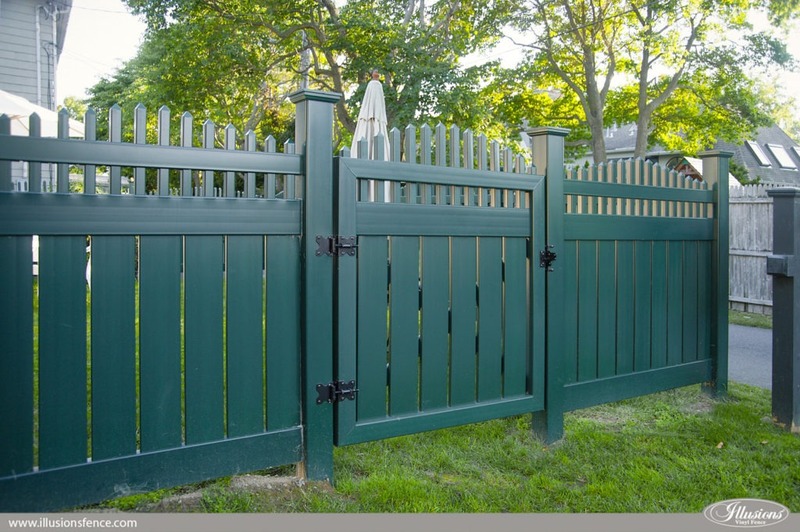 The best gate in the industry is also a perfect match for your fence. • Availability? – Illusions Vinyl Fence and Illusions Vinyl Railing products are available nationwide through a network of professional fence dealers and distributors. 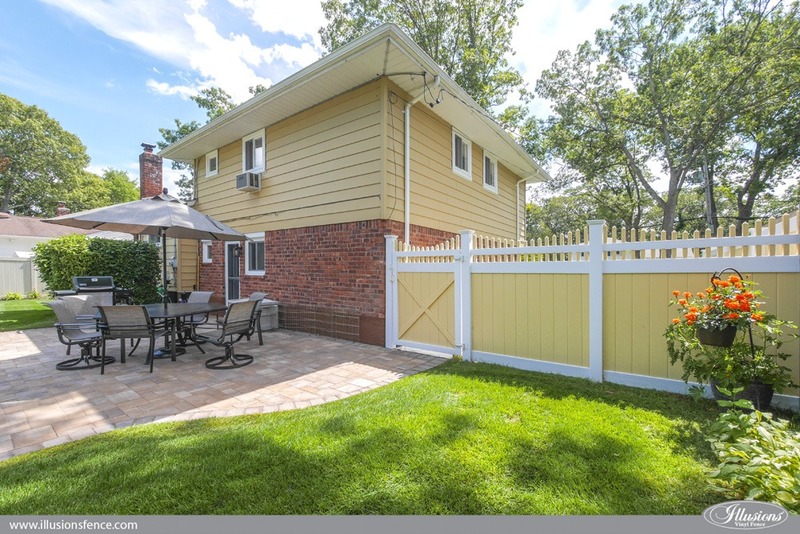 • Can I color match my fence to my house or another color? – Absolutely! This is called the Grand Illusions Color Spectrum “Designer Series.” You are able to have your fence color matched to any color swatch you choose. This is revolutionary in the PVC vinyl fence industry. So, to answer your question; “what is the best PVC vinyl fence brand and why?” We hope we’ve given you a few great reasons as to why it’s Illusions Vinyl Fence. We hope this helps. Please let us know if you have any difficulty locating the products or if you need any more help. WHERE CAN I PURCHASE NEAR ME?